As a participating golf school student, add on a round of golf at The Ritz-Carlton Golf Club, April 1st, 2019 through May 29th, 2019 is $75; May 30th, 2019 through September 19th, 2019 is $35; September 20th, 2019 through December 31st, 2019 is $65. Add on a round of golf at Hawk's Landing Golf Club, April 1st, 2019 through May 31st, 2019 for $53 + tax; June 1st through September 30th for $40 + tax. As a participating golf school student, add-on a spa treatment at The Spa at Grande Vista for 15% off retail value. All Rates Include Golf Cart Fees. 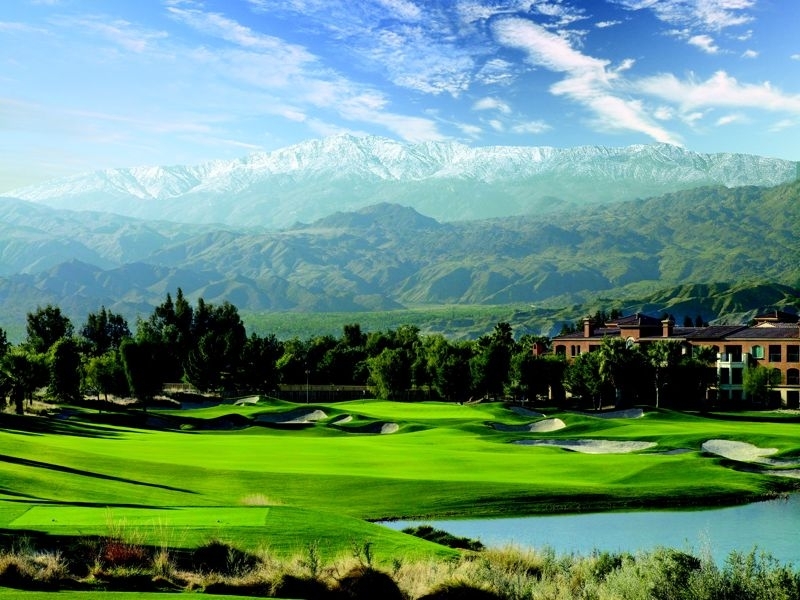 As a participating golf school student, add on a round of golf at Marriott's Shadow Ridge Golf Club for $100 Now through April 30th, 2019; $50 May 1st through September 29th, 2019. As a participating golf school student, add-on a spa treatment at The Spa at Desert Springs for your choice of one of the following 2 options Sunday through Friday : 60 Minute Swedish Massage or 60 Minute Custom Cleansing Facial. for only $145. Juniors, who do not have a valid driver's license, must be accompanied by an adult who is also enrolled in the same 2 day golf school program. Leave your golf clubs at home! Marriott Golf Academy℠ stocks the latest TaylorMade equipment and will waive the rental fee for golf instruction and golf rounds associated with this program. This is a huge savings per round and provides the opportunity to demo the latest equipment TaylorMade has to offer. Sept 30 - Oct 25, 2019 Closed for Over-Seeding! The standard 2 day golf school lodging package includes 2 consecutive nights during the golf school program at either Marriott's Grande Vista or Marriott's Shadow Ridge. Extra room nights can be purchased at a special rate, if available. Lodging packages are subject to villa availability. The listed lodging package pricing is for 1 person to attend the golf school package. Additional room guests, up to max occupancy, are welcome to accompany the golf school student in their villa. The 1 bedroom villa sleeps a max of 4 people. The 2 bedroom villa sleeps a max of 8 people.